Completely remodeled and upgraded inside with curb appeal outside! You must see pictures of this stunning 4 bedroom/3 full bathroom gem! Walls taken down; everything is open and tastefully designed. Enormous kitchen could be in a million dollar home. Huge island w quartz counter & tons of storage. New cabinetry w granite counters. GE stainless steel appliances, pot filler over gas stove. Master and guest bedroom en suite. Two closets in master; two sinks in master bath. Barn door in house adds even more character. New AC, new dual-pane windows, new tile throughout. New copper plumbing, new electric panel w Nest thermostat. New doors, new trim, newer water heater. Covered patio w fireplace, grass and flowering plants…a quiet paradise. Split floor plan. Priced to sell!!! 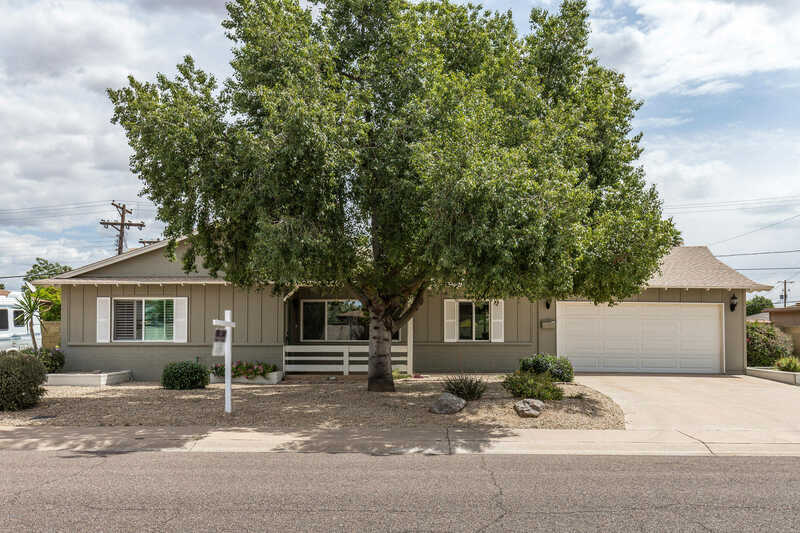 I would like to schedule a private showing for this property: MLS# 5911558 – $510,000 – 2801 N 81st Way, Scottsdale, AZ 85257.